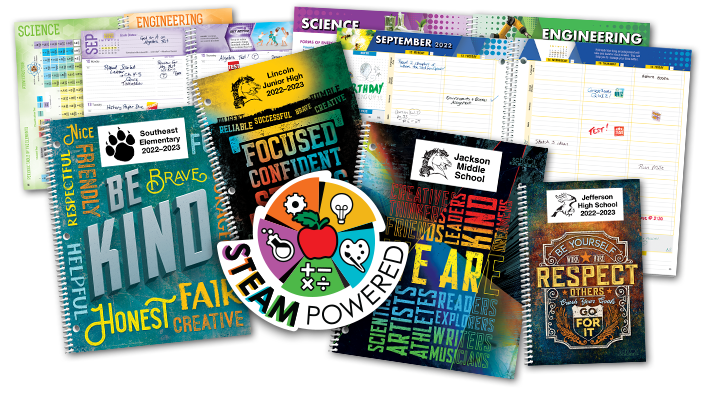 Help your students plan for success with high quality, full-color Student Planners and Student Agendas at an exceptional value. 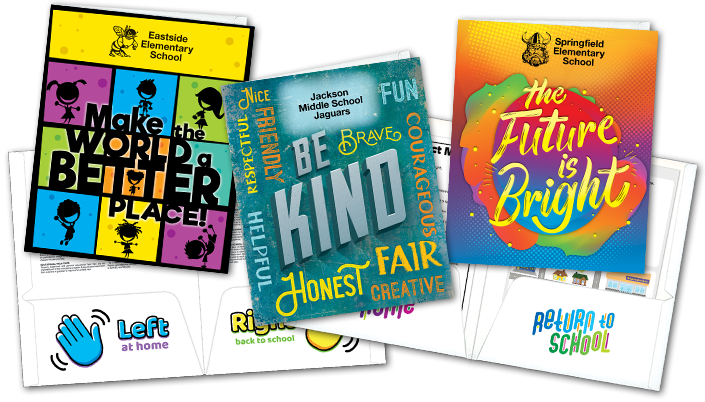 Connect parents to the classroom and help students organize their work with full-color, durable folders. 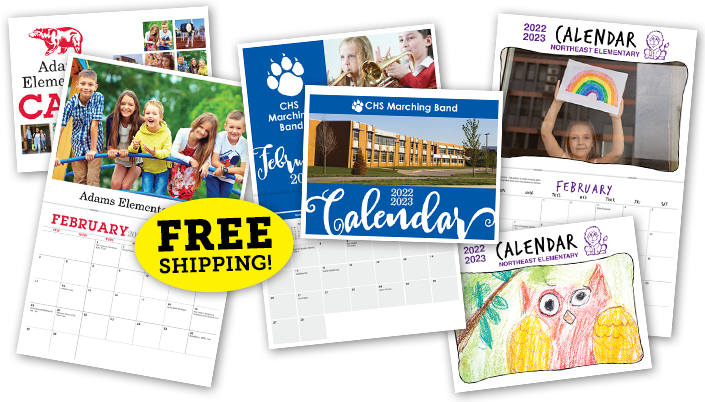 Keep families aware of school events all year long with a custom calendar. High-quality custom wall calendars feature your photos, events, and more. They're the perfect compliment to School Events Agendas. 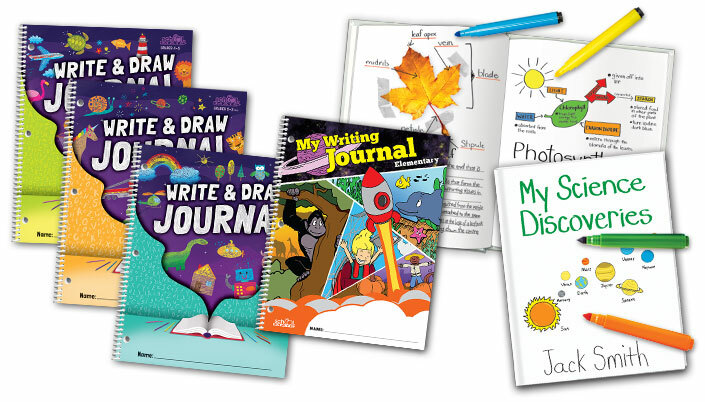 Unleash creative writing and drawing in your classroom by turning students into published authors with School Mate® Publishing. Best of all, there’s NO COST TO YOUR SCHOOL! 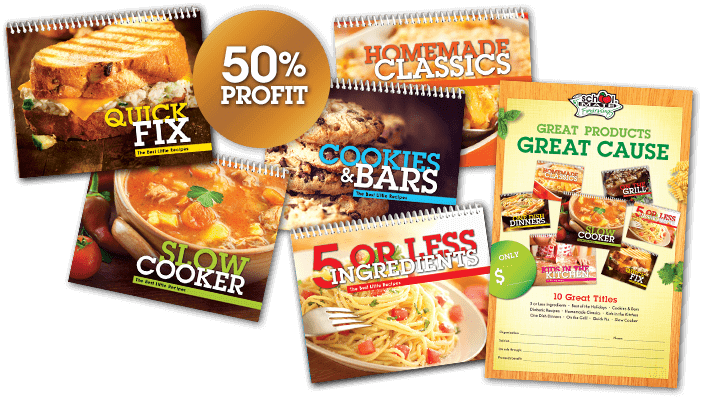 Best Little Recipes Coookbooks are a NO-RISK fundraiser that allows you to keep 50% PROFIT on every item sold! Promote Student Achievement and Success! 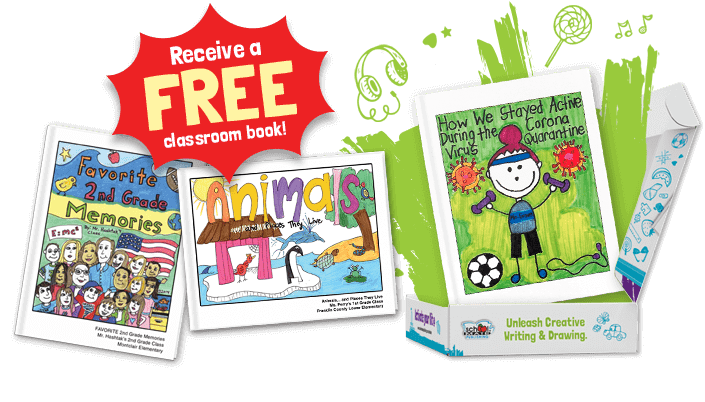 School Mate® offers a variety of innovative and engaging classroom products to keep your students motivated. 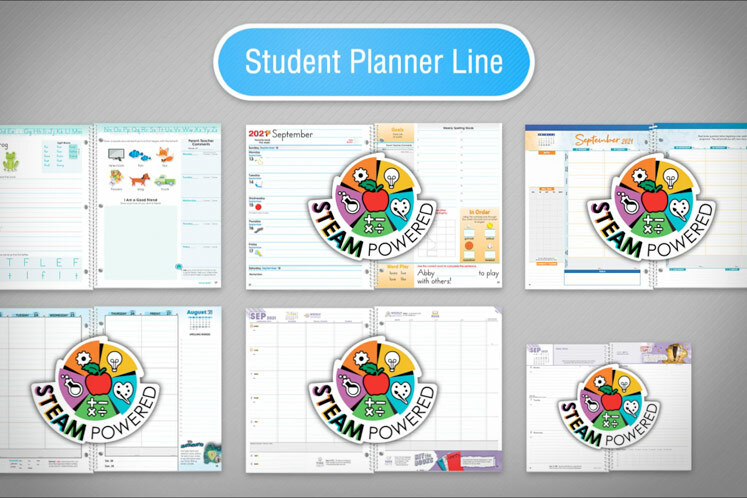 Students can develop long-term organizational habits by jotting down important reminders, assignments, and more in a paper planner. Writing in a planner forces a student's mind to focus on one thing – planning. Plus, students and parents can quickly see important assignment deadlines, notes, and goals at a glance. Ensure your students are developing time-management skills to assist them in future endeavors. 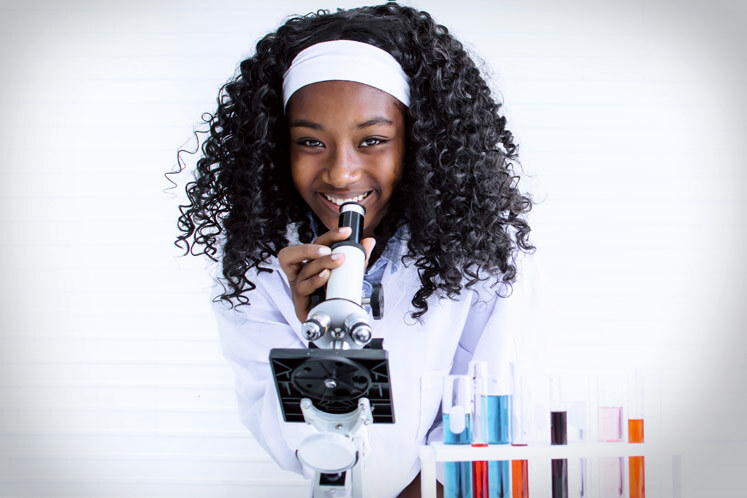 Discover the differences between each planner to select the correct age-appropriate planner that will help your students succeed.